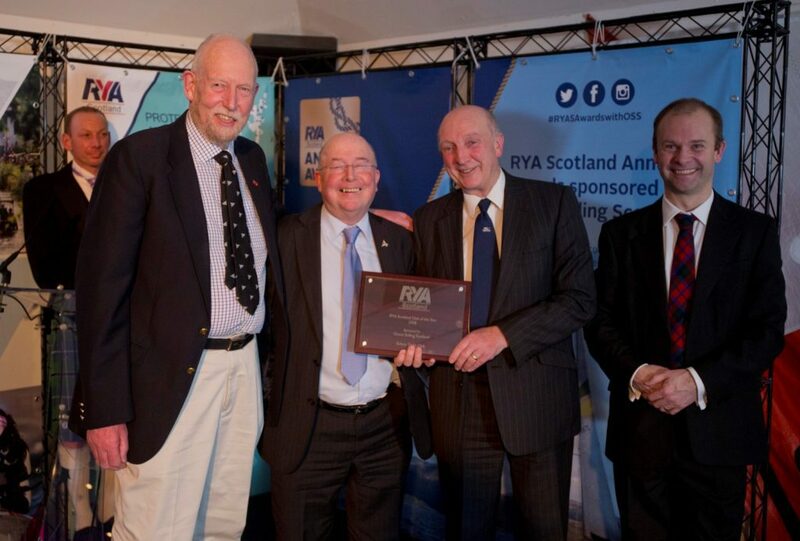 At the RYA Scotland’s glittering Awards Presentation event on Saturday evening, the Solway Yacht Club from Kippford won the prized “Club of the Year” Award 2018. The members present were thrilled, delighted and almost in disbelief when the Club was announced as the winner. James Allan, RYA Scotland CEO paid tribute to the Club saying how they had successfully attracted so many young people to the sport and were developing long term links with local schools and others to inspire future generations. It was a double success for Solway YC as moments earlier, the Club’s former Cadet Captain, Jock Wishart had been presented with the “Performance of the Year” award in recognition of leading the winning crews in Jock’s Celtic Team who not only won yachting’s prestigious International Commodore’s Cup but went South to the home waters of the English opposition and wiped the floor, with the Netherlands team coming only a distant second. In accepting the award, Jock reminded everyone of the importance of never forgetting your roots and talked of his early sailing days in Kippford. Several members of his team joined him on the stage, enjoying their moment. Just for good measure, Jock also did a barnstorming address to the haggis while wielding a claymore!